I just got these issues in the mail today. I am awaiting to get issues that I won or ordered through the mail or ebay – when I get them I will have every issue! I am wiating for 7 more arrive – but today, these beauties came! Issue #128 has the Avengers, and I hate to say, I am not a huge fan of the cover. 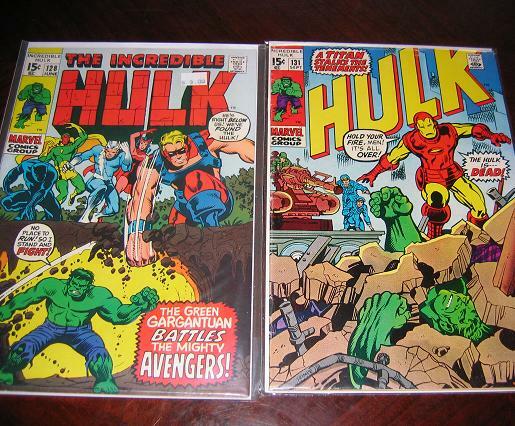 The Hulk looks about as big as Quick Silver, what is up with that? Giant Man is punching a hole in the ground and that is cool – but the cover seems a bit out of scale. A better cover is the Iron Man cover. Trimpe does a classic Iron Man. It looks great and makes me want to read the issue! Nice condition too! I’m excited that I have all of the comics coming – but I don’t count my chickens before they hatch – I will celebrate when every issue is in my hand! With #128 it was a lot that came with #127 and #176. 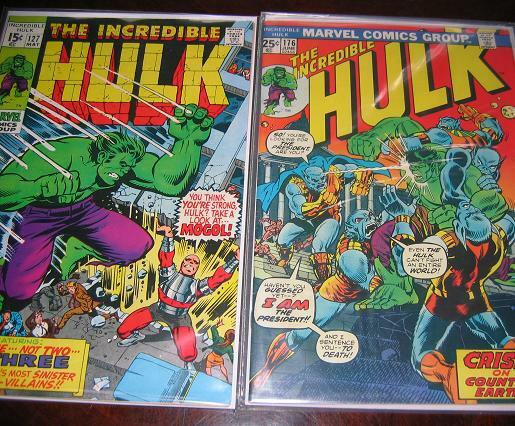 I have a few double issues – if anyone who is reading this and is collecting the Hulk themselves are searching for some Hulk issues – just email me at greyfixit@live.com and ask for a list of the doubles I have. I will let you know what’s available and will give you a really great price. So, apparently, Marvel produced 8 of these posters in the 60’s of every major character. There are ones of Spiderman and Captain America and Iron Man and Thor and Sub-Mariner and Dr. 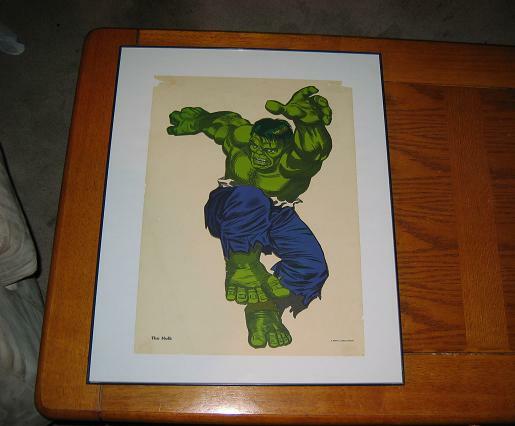 Strange and the Human Torch – but this has to be the best one – just look at it – it’s the Hulk! Not to mention its also in the classic Kirby leaping Hulk pose! The pose is from the cover of TTA #67 and is one of my all time favorites! What a great piece to add to my collection! I must say though… I am shocked that there are still no toys or anything promoting the movie coming out in a few short months! Someone needs to get on the ball! And fast here! Also – P.S. – I did just hear that Bowen is creating a “Museum Pose Hulk” statue in this latest wave. I can’t wait! G4 Rules – And Munn is Fun! Attack of the Show – a regular TIVO of mine – tackled the question of who the Red Hulk is tonight. 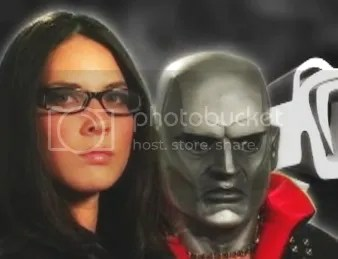 They had no real new insight (Kevin thinks it’s Doc Samson – as does everyone else) but I though this would be a great oppurtunity to tell you just how hot Olivia Munn is. Here are some pics of her – and the only non-Hulk related pics to appear on this site! It may never happen again, so enjoy it now! So,I found this other Hulk site that some of you might like to check out. 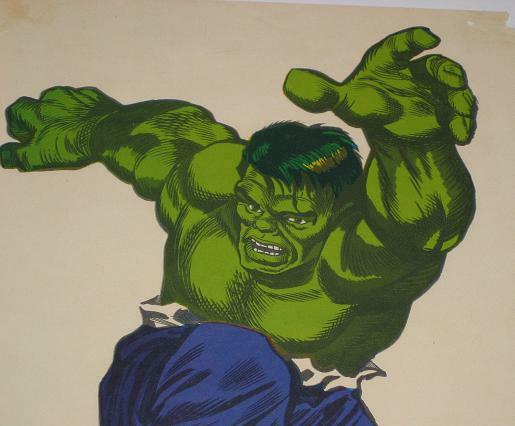 It’s a forum type set up where you will find some of the best Hulk trivia ever… INCLUDING… the fact that someone has found a picture the Abomination repaint from ’96. As you might remember – the regular version has a black cape and underwear (well, what would you call them?!) and a purple gun. Now for the record I have never seen ANY repaints – nor do any Hulk “experts” that I talk to know of any repaints existing. Some say this is a custom – which I seem to agree with – but why just customize the cape and gun? Whatever. Check out the site. It’s pretty cool. The figure doesn’t look bad in any way – it’s just suspect! Hey Hulk – did you catch Britney on “How I Met Your Mother”? Over the years I have found different Hulk items that I really like. Really want. I have known about this paticular Hulk item for many years, but I have a few other things on my want list before I start saving for this: THE 1970’S GOTTLIEB INCREDIBLE HULK PINBALL MACHINE But even though I am not ready to buy this (I did, after all, just move into a house and already spend a big amount of “moo-lah” on Incredible Hulk #1) doesn’t mean that anyone else that wants this should let it get away! Click on the image for the auction. This is such a great piece of Hulk lore – I hope they still have some available when I am ready to get one! Best Cover Ever – Part 2! This cover not only stands the test of time – and doesn’t look out of date – but this cover has popped up so many times after its first release! Marvel Zombies recently did a version with Hulk with his mouth full of eyeballs. Wizard showed you a different version by an artist – but McFarlane’s still, to me, is the best there is!